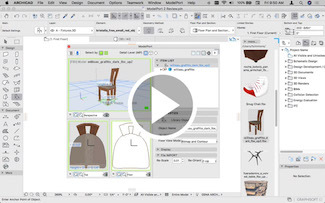 With the release of ModelPort 2.0, developed by Day8Design, downloading and managing ARCHICAD objects has never been easier. 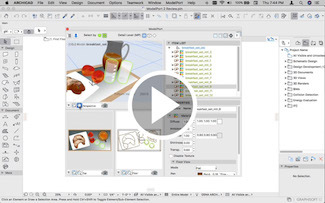 Users can now import, edit and change settings for a wide variety of objects. 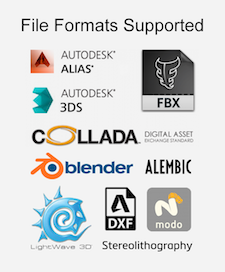 Additional file formats such as MODO, Lightwave and Blender are now accessible, in addition to the popular OBJ and standard FBX formats. ModelPort uses the Autodesk FBX SDK, which is the same code used by Autodesk to create a bridge between their popular 3D software: Maya, Softimage XSI, 3DStudio MAX, etc. Using the FBX SDK means there is now a reliable connection to these and many other 3D programs. But ModelPort 2.0 offers much more. With this new release users can preview models before import as well as edit material, texture, texture placement, pen weight, fill color and more with powerful parametric editing tools. 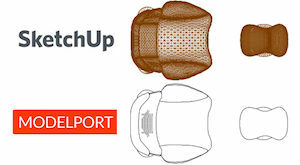 With ModelPort 2.0 ARCHICAD users can also manage imported models and objects to reduce file size and control the polygon count thus improving speed and performance. “Great work! 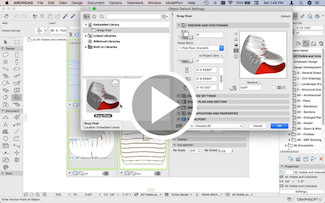 I think the ARCHICAD community will be excited about ModelPort 2.0”. 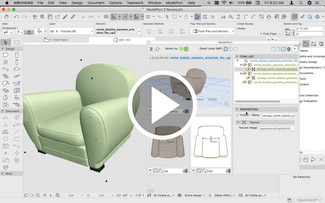 Preview an object or model before importing to ARCHICAD. Fast preview engine provides users with a quick review of an object and its components. 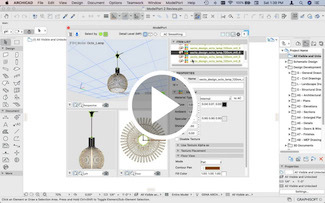 Control the display of model information, grid, polygon count, speed, light and background in the preview window. Modify the Properties of the Object or be more precise with selection of individual components within the Preview Window. Control settings by selections within the items list. Selected materials in the Item List of ModelPort are highlighted in perspective, elevation and plan views of ARCHICAD. Interactive selection of elements in perspective, elevation or plan views within ARCHICAD will highlight the material in the Item List of ModelPort. View and edit the Properties of a material after it is selected from the Items List or from the perspective, elevation or plan view. Rotation in perspective within ModelPort’s interactive 3D View window. After setting a view you can select Update Preview Image to set the default Preview Image in the Object Settings. Have trouble viewing changes to selected elements when editing materials, pen colors, fills and other settings? ModelPort introduces Zoom to Selection, a NEW feature that allows you to see more clearly the element you’re editing. It’s simple – select an element and click the Zoom to Selection button. 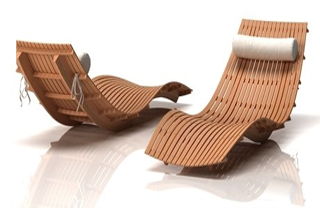 ARCHICAD’s SketchUp and DAE import creates objects with triangulated 3D curved surfaces and messy 2D plan symbols. MODELPORT converts ARCHICAD objects with smooth surfaces and generates clean 2D symbols for floor plans. 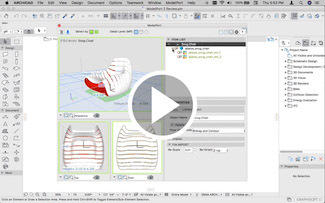 Use ModelPort 2.0 to enhance the graphics of models imported into ARCHICAD. Select components within a view and set the background color for the elements. Improve object graphics for design presentations and documentation. In ARCHICAD imported objects typically have limited options for editing Pen Weights. With ModelPort users can set custom pens and colors for selected components within the Plan View, Elevation View or any other views. An object with a high polygon count can decrease the speed and performance of an ARCHICAD model. A Polygon Count Indicator in the 3D Viewer shows red in the bar graph when the polygon count is high. With the Poly Reduced Editor you can decrease the polygons on models that have a high polygon count. 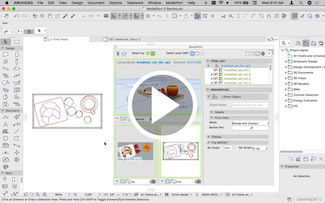 ModelPort : Reduces size of imported files up to 80% (requires ModelPort Plug-in). GDL : Standard ARCHICAD format but doesn’t store the extra ModelPort information and creates a larger file size. GDL+ModelPort : Provides all the benefits of both options above but creates the largest file size of the two options. The ModelPort Browser helps you organize and preview downloaded libraries. The browser offers visual navigation through a library of downloaded objects. 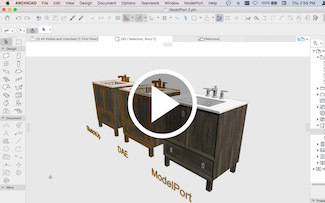 A selected object in the browser can be opened into ModelPort for review without importing to ARCHICAD. 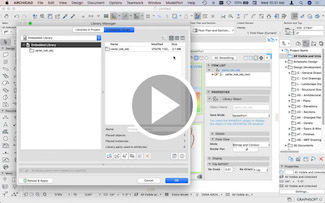 Increased performance and powerful editing tools for ARCHICAD. The chart below compares the new features in ModelPort 2.0 with ModelPort 1.0 and the ARCHICAD defaults. 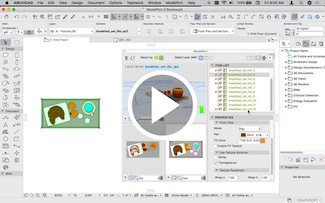 The new version of ModelPort offers powerful features not available in other tools. 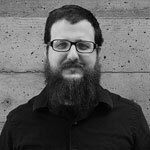 “I love that you can make changes after importing, then continue to edit and update an existing object after loaded to the embedded library. This is really a powerful feature! 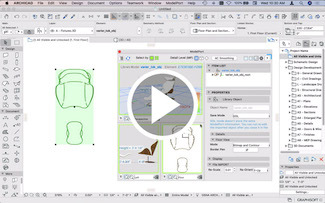 ARCHICAD’s missing link that unlocks the door to the vast world of 3D content. 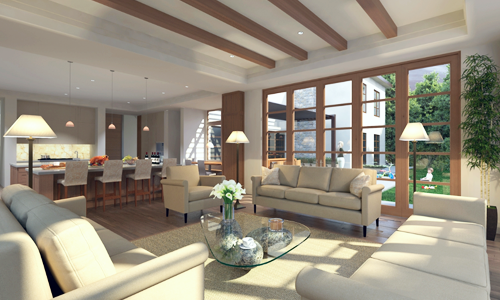 With ARCHICAD’s Cinerender you can create very realistic renderings. 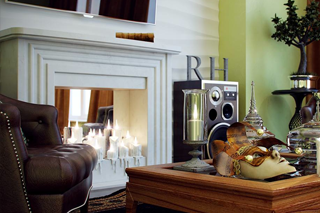 But to make them come alive you also need realistic furniture, appliances, lighting, and more. With MODELPORT you can access extensive libraries of entourage and manufacturer products to embellish your renderings inside ARCHICAD. 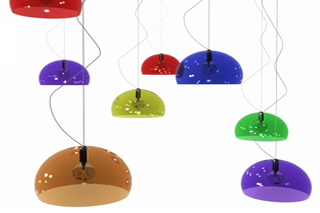 Formats such as Maya, Blender, FBX, OBJ, DAE and others open access to more objects and online libraries. Below are examples of services with content based predominately on the formats accessible by ModelPort. TurboSquid has the largest collection of professional 3D models on the web used by architects, visualization studios and creative professionals. Customers tell TurboSquid they save an average of 27 hours per model, which can be a lifesaver in deadlines, not to mention more profit. 3Dsky is an online model database of high quality, strictly moderated content that is produced by talented artist from around the world. 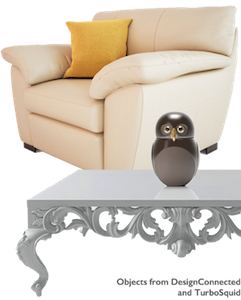 The 3Dsky service offers a unique sharing system that provides affordable access to a wealth of objects including models from manufacturers. 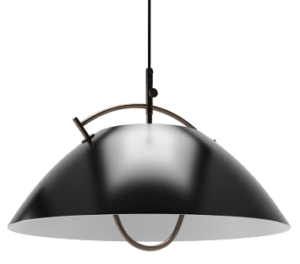 Designconnected is an online marketplace that provides the highest quality 3D models of designer furniture, lighting and accessories. All content is beautifully crafted with maximum attention to proportions, details and textures from over 1,500 designers and 980 brands. 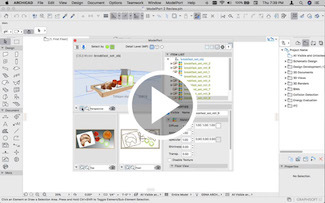 The leading object importer and editor for ARCHICAD.